“Smooth Criminal” is the seventh single released from the 1987 ‘Bad’ album. The song was written and composed by Michael Jackson and co-produced by Quincy Jones and Michael Jackson. An estimated 7.5 million copies of the single have been sold to date. Early versions of “Smooth Criminal” were originally entitled “Al Capone”. 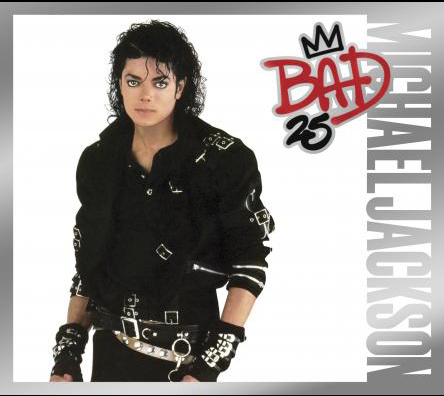 Michael recorded a demo of “Al Capone” in 1986, which appears for the first time on ‘Bad25’. BONUS: The heartbeat heard in the beginning of the track is an actual recording of Michael Jackson’s own heartbeat, recorded by Dr. Eric Chevlen. “Smooth Criminal”, the seventh single from Michael Jackson’s 1987 ‘Bad’ album, was released as a 7” promo single on October 21st, 1988. The song “Smooth Criminal” (4:10) also appears on the ‘B’-side. “Smooth Criminal” was released as a 7” single on October 21st, 1988. The ‘B’ side is “Smooth Criminal – Instrumental” (4:10). “Smooth Criminal” was released as a 12” single on October 21st, 1988. The 12” version single features five versions of “Smooth Criminal”: “Smooth Criminal – Extended Dance Mix” (7:46), and “Smooth Criminal – Extended Dance Mix Radio Edit” (5:20) on the ‘A’-side; and on the ‘B’-Side: “Smooth Criminal – ‘Annie’ Mix” (5:35), “Smooth Criminal – Dance Dub Mix” (4:45), and “Smooth Criminal – A Cappella” (4:12). “Smooth Criminal” was released as a CD promo single on October 21st, 1988. The CD promo single contains six versions of “Smooth Criminal”: “Smooth Criminal – Single Mix” (4:10), “Smooth Criminal – Extended Dance Mix” (7:45), “Smooth Criminal – Dance Mix Radio Edit” (5:21), “Smooth Criminal – Annie Mix” (5:35), “Smooth Criminal – Dance Mix-Dub Version” (4:45), and “Smooth Criminal – A Cappella Mix” (4:12). “Smooth Criminal” was released as a 3” mini-CD single on October 21st, 1988. The 3″ mini-CD single includes the songs “Smooth Criminal – Extended Dance Mix” (7:45), “Smooth Criminal – ‘Annie’ Mix” (5:35), and “Smooth Criminal – Instrumental Version/Dub Mix” (4:45). “Smooth Criminal” - written and composed by Michael Jackson. Michael Jackson: Solo and background vocals, clap. Bill Bottrell, John Robinson, Bruce Swedien: Drums. David Williams: Guitar. Kim Hutchcroft, Larry Williams: Saxophones. Kevin Maloney: Muted Steinway piano. Certain Synclavier Effects by Denny Jaeger and Michael Rubini. John Barnes, Michael Boddicker: Synthesizers. Chief Of Police Announcement by Bruce Swedien. Michael Jackson’s heartbeat recording by Dr. Eric Chevlen digitally processed in the Synclavier. Rhythm arrangement by Michael Jackson and John Barnes.